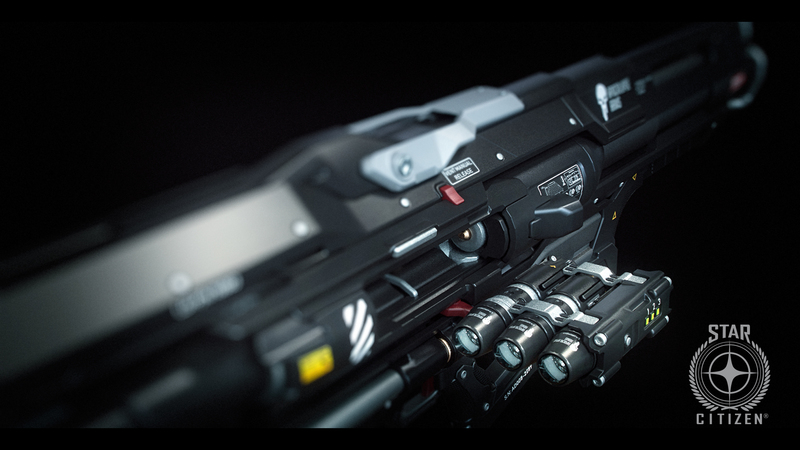 Welcome to some more Star Citizen News, This time for the week ending the 7th April, this time we are going to look at the week’s newsletter, the 3.5.0p Patch & The Updates to the PU Roadmap for 2019. And that’s where we stand at the moment, we are awaiting 3.5s LIVE build but we have 3.5.0p available to everyone on the PTU. Updated rewards and tweaked some requirements for comm array missions. Players should no longer be able to enter multiple habs. Fixed several missing outposts on Lyria. Mission failure for failing to delivery the black box should now properly cause the mission to end. The interdiction alarm should no longer play continuously after being interdicted. Servers should no longer occasionally stall and stop updating, resulting in frozen elevators, mission update delays, and frozen trams. Fixed an issue where the box for the steal mission wouldn’t spawn after destroying the target ship. Wala should now be rotating. Fixed some floating rooftops around Area18. NPCs at Lorville and Levski should once again be moving about. Fixed a noticeable gap between the L19 elevators and the rooms in Lorville. Fixed 4 server crashes &3 client crashes. There was No AtV this Week it should return on the 25th of April I believe. RtV looked at the DNA Facial Customization in game, we will be able to have aged skin as an option for our character. They are waiting on new tech for helmets and hair to work well together. Long hair in the short term will get a cap to allow it to believable fit in a helmet. We will see additional features for the system, a history/undo function and the ability to save presets. They can add facial features separately to full heads into the DNA system. We will see more options, colors, heads, beards & customization in the future. They are still considering scars, various facewear/masks and items for characters too. The Drake Corsair Q&A came out but didn’t give us much more tangible info, I’ll link my full ships buyers guide below. This months RSI Subscriber Ship is the Arrow. There have been a lot of updates to the roadmap with bits getting moved around. This refactor aims to improve efficiency and usability of the asynchronous disconnection code. Refactoring this will clean-up a lot of bugs such as infinite loading screens, server crashes, and client crashes, while also helping to assure that more of these issues don’t occur in the future. Hover mode will vastly improve the behavior of ships flying at low speeds in gravity and atmosphere. Players will be able to manually control the state of VTOL thrusters as ships enter a special mode in which players must focus on balancing the ship as it hovers. This will make hovering more realistic and add depth to atmospheric flight gameplay. Shield Technology Replacement has been brought forward from 3.7 to 3.6 this is the updates to using Signed Distance Fields tech. Cockpit Experience Improvements (Improvements to the player cockpit experience, including new visual and audio effects) & Ship-to-Station Docking (Implementing the ability to dock ships together) they’ve both moved to 3.8. We have a redefined feature Dynamic Mission System: Economy Generated Missions, The Dynamic Mission System allows missions featuring specific locations, rewards, and other parameters to be dynamically dictated based upon guidance from the back-end simulation and player actions, which in turn enables a more systemic universe. Alpha 3.9 was also added to the Roadmap for March 2019, I’ll link the dedicated video with it’s additions in below. The Advocacy-branded version of the Basilisk body armor, The Naval Gunner Outfit, AI Spline Paths v2 (Improvements on the new flight model to allow AI spaceships to request complex commands). Hover Mode has been placed in Q2 for the needs of SQ42. Also Procedural Asteroids v2 has reappeared on the SQ42 Roadmap for Q2 as well. If anyone can make it to Manchester on the 27th of April then it’s worth coming to BritizenCon. I’ll put a link below, it’s a big Star Citizen Fanfest attended by various CI Devs as well as content creators and a load of SC fans. I shall be there & am very much looking forward to it.